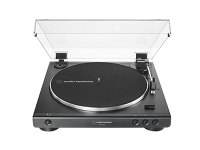 Whether you’re a home cinema buff, or you enjoy sitting down with a drink and listening to some vinyl, Yamaha ticks all the right boxes to create a very enjoyable experience. At first glance, it seems Yamaha have stuck with what they know, with only very minor design tweaks to the front facia. While it is a bit minimal compared to some other manufacturers, it still remains very functional, with a large display up front offering all the key information such as volume and input/output selection. The RXV683 offers a very competitive 90 watts per channel and is more than capable of driving some of the larger speakers we have at our disposal. 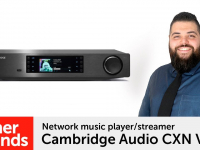 Yamaha have ensured that the receiver handles anything thrown at it, including both Dolby Atmos and DTS:X formats, as well as any High-Res audio files you may have in your digital collection. Those of you a little more in the home cinema loop can breathe a sigh of relief as the RXV683 does have full HLG (hybrid log gamma) support, meaning any live Ultra HD streaming content available in the future will pass right the amplifier without an issue. Music streaming is predominately handled by Yamaha’s fantastic multi-room service, MusicCast. 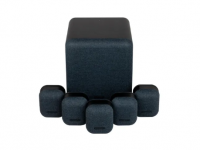 It’s built directly into the unit, allowing you to send music from the dedicated Apple or Android app, and even allows you to add more speakers around the home to completely fill your space with music. If that doesn’t tickle your fancy you can always fire music through Apple Airplay, and for when you have guests pop round, put the unit into Bluetooth mode, allowing anyone to stream music wirelessly from their phone without being on your network. The business end of the Yamaha is more than suitable for the majority of home cinema applications people are likely to have in their homes, with seven HDMI inputs (three of which are HDMI HDCP 2.2 compatible for any 4K needs) and 1 HDMI output. 7.2 channels of audio as well as five analogue audio inputs, two dedicated optical inputs and finally an all-important phono stage! For those of you who still hold vinyl close to their heart, the RXV683 is an absolute no brainer. We had our RXV683 set up with our usual setup that includes the Monitor Audio Radius speaker package and Panasonic PUB900 4K Blu-ray player. Our demo of choice was the dedicated Dolby Atmos film Fantastic Beasts And Where To Find Them (a spinoff franchise of the Harry Potter films). Whilst not a personal favourite of mine, it does offer a very impressive soundtrack, and the Yamaha makes short work of it, offering a fantastic sound stage and audio separation. It effortlessly handles the Atmos surround sound elements without making too much of a song and dance about it. The sound was subtle, continuing on a history of a very distinctive Yamaha sound that I have grown to love. I had a quick dive in to the Yamaha MusicCast option, and played through some Red Hot Chilli Peppers, and while it wasn’t quite offering the same level of separation as it did on a movie, I put that down to the lower quality format I was sending it from Spotify. Overall, I was very impressed and couldn’t have asked for more at this price point. The phono stage and ability to act as a piece of hi-fi kit really makes the RXV683 stand out from the crowd. If you’re after something that can handle both your home cinema and musical requirements with great results, I’d say look no further! Pop in to your local Richer Sounds to hear this fantastic receiver for yourself.